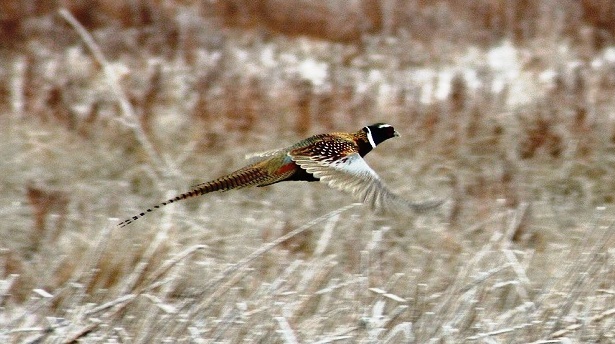 How important is the state of South Dakota to the world of pheasant hunting? Pretty dog gone important - bird dog important, that is. As the nation's leading producer of wild ring-necked pheasants every fall, the state has suffered through a precipitous drop in bird numbers over the last couple of years, one that is causing both public and private sector groups to sit up, take notice and cooperatively go to work. On the public side of things, South Dakota Gov. Dennis Daugaard reacted to last year's bad upland bird hunting news for his state by convening an almost emergency "Governor's Pheasant Habitat Summit" last December in Huron. One of the active participants in that summit, Minnesota based Pheasants Forever, is also working hard to help stem the tide of those losses. So much so that PF has announced plans to open its first ever regional headquarters office in Brookings, South Dakota next month. According to a PF news release announcing the move, Dave Nomsen, the organization's long-time Vice President of Government Affairs, will move back to South Dakota to head up the office. The news release indicates that the decision to open an office and have Nomsen become its point man comes "...as the organization ramps up efforts to address substantial habitat losses and land use changes in South Dakota, which have resulted in the dramatic decline in pheasant numbers." “South Dakota is the epicenter of pheasants in the United States," said PF president and CEO Howard Vincent in the release. "Unfortunately, South Dakota is also the epicenter of grassland habitat loss." How extensive is that habitat loss? PF officials say that according to a 2012 South Dakota State University (SDSU) study, some 451,000 acres of South Dakota grasslands were converted to agricultural production land from 2006 to 2011. That has resulted in a steep decline in pheasant production, one that biologists, hunters, and outfitters have taken note of. Combined with poor nesting weather last year, the 2013 South Dakota Game Fish & Parks' annual pheasant index showed an alarming 64-percent drop in bird numbers. Given the economic clout that pheasant hunting brings to South Dakota each year, the announcement of that drop caused a virtually audible gasp from pheasant hunting stakeholders across the state. How important is pheasant hunting to the state in economic terms? PF says that the South Dakota Department of Tourism estimates that pheasant hunting generates $223 million in retail economic impact each year, not to mention the provision of an additional $111 million in annual salaries. PF says that money comes into state coffers each autumn as some 76,000 resident and 100,000 non-resident pheasant hunters don their blaze orange and head afield to chase the colorful and tasty roosters. In the process, those hunters stop and buy hunting licenses, gasoline, food, beverages and pay for lodging at businesses all across the state during the three-month long season that happens each fall. What's more, the state estimates there are actually some 4,500 jobs linked directly to the pheasant hunting industry and its related tourism. All of which helps to explain PF's decision to open the organization's first ever regional office in the Mount Rushmore State. And the decision to put Nomsen in charge of it. “Dave has a thirty-year track record of conservation victories, he’s a former South Dakota resident, graduate of South Dakota State University, and served on the faculty of SDSU’s Wildlife Department," said Vincent. In addition to actually opening up the office next month, Nomsen's biggest task will likely be working to strengthen the relationships and partnerships that currently exist - and must continue to exist - between federal, state, and private groups in South Dakota. 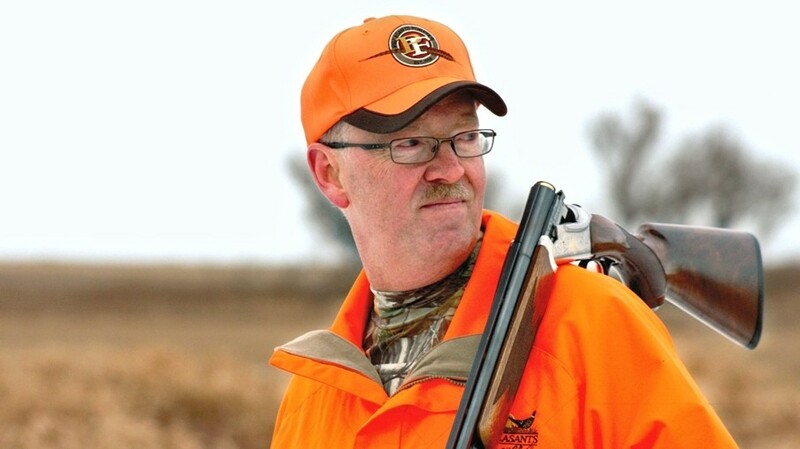 For his part, Nomsen understands the challenge that he faces and the necessity of achieving success for pheasant hunting stakeholders across South Dakota. “Pheasants are such an important part of the state’s culture that there is a rooster pheasant flying over Mount Rushmore on the commemorative South Dakota quarter,” said Nomsen in the release.